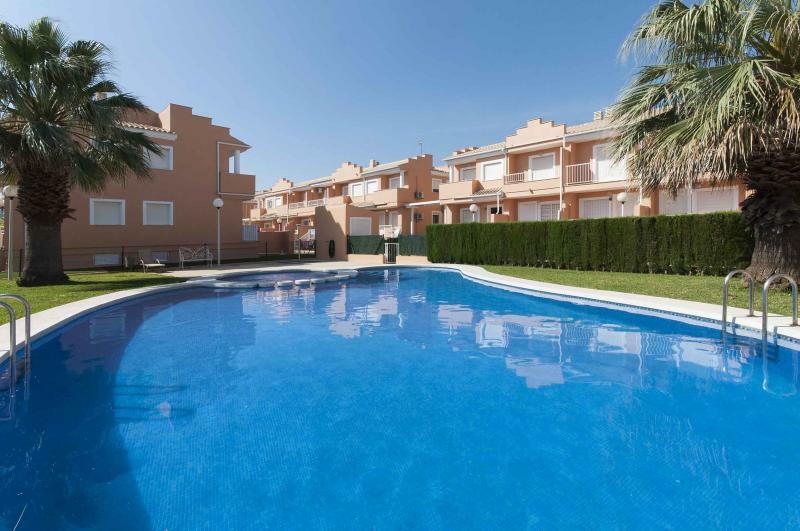 Bright 2 storey property located in a residential area in the town of Denia. It has views of the village and it is located near the sea. It can comfortably accommodate 6 people plus 1 extra space. This beautiful and spacious home features 1 50m2 chlorine swimming pool with a depth ranging from 1m to 1.8m. The pool is completely fenced in for children’s safety. 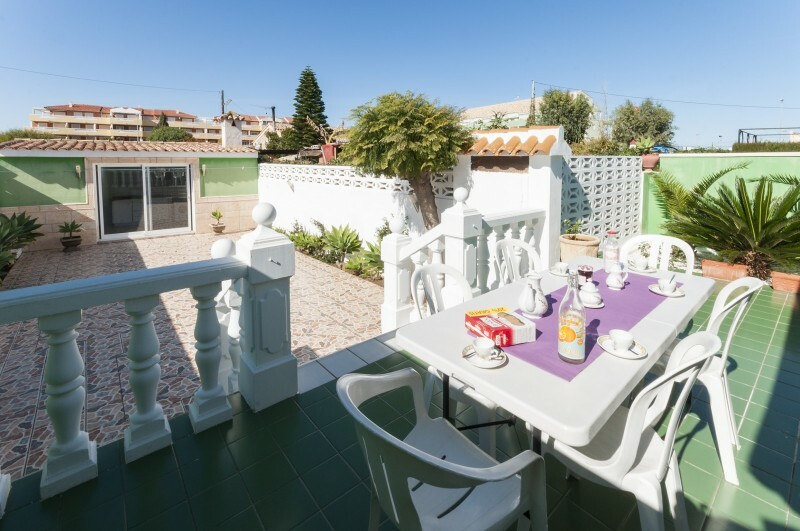 The private garden features a 180m2 paved area, where you can enjoy sunbathing on one of the five sunbeds available, and a 250m2 lawn area which has fruit trees. It also has 1 55m2 terrace, access to one mobile barbecue, and 2 umbrellas to protect you during hot days. The privacy of this property is partial and has outdoor parking for 5 vehicles. The property’s living room is the ideal place to relax watching a DVD movie or reading a book. The furnished dining room is located in the living room area. The dining room is the ideal place to enjoy unforgettable after-earing talks with your loved ones. Aside from the living room, it has another room with 1 sofa and armchairs to enjoy long conversations with family and friends. The kitchen has everything you need to create the best dishes, including electric stove. The laundry room is located in a separate room and it features 1 washing machine, 1 iron and 1 ironing board. This original house has 3 bedrooms, each with 1 double bed. 2 of the bedrooms are downstairs and have wardrobes; the 3rd is on the 1st floor. This property has access to one additional space on a folding bed without charge, and 1 crib for the little ones. There are 2 bathrooms, 1 in suite with a bathtub and the other with shower. As a whole, it has air conditioning in the kitchen and the living room, and central gas heating. 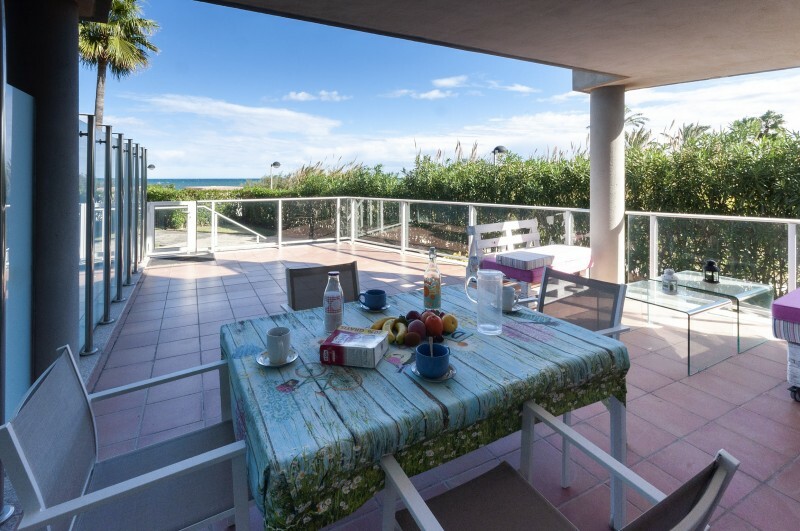 This beautiful house is located in the vicinity of the fine sandy beach of Les Marines. There, you can enjoy the bars and restaurants in the surrounding area, and every Monday morning there is a market. A must-see is the beach of Les Rotes, which is known for its beautiful scenery and clean water. The Marine Reserve of Cabo de San Antonio is also very important due to being environmentally protected. Denia’s Castle is located on a gentle hill and is a great tourist attraction. If you just want to play sports, this area offers various hiking and biking routes. Your pet is welcome to this property, as long as it does not weighing more than 8 kg. Remember that you will be charged a small extra amount for cleaning the property.